Santa Fe is one of my favorite places. Fabulous art, Native American crafts, great food, shopping, music, and outdoorsy pursuits abound. 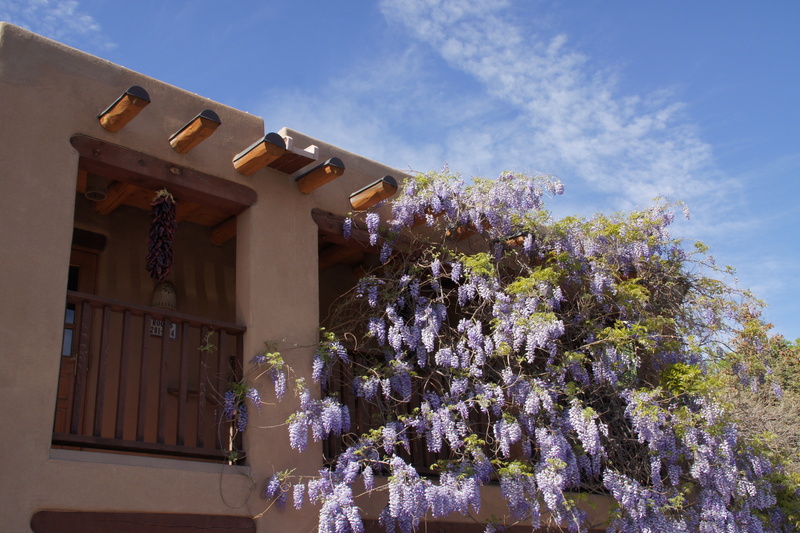 If you’re traveling with a group, it’s hard to keep everyone together because everything you see makes you want to stop and stare, from the wisteria draped adobe architecture to the fabulous Native American jewelry and even the distinctive high desert sky. The moment I saw the brilliant, proud morning shine high up over the deserts of Santa Fe, something stood still in my soul, and I started to attend… In the magnificent fierce morning of New Mexico one sprang awake, a new part of the soul woke up suddenly, and the old world gave way to a new. The plain was there, under one’s feet, but what one saw when one looked about was the brilliant blue world of stinging air and moving cloud. Even the mountains were mere anthills under it. Elsewhere the sky is the roof of the world; but here the earth was the floor of the sky. 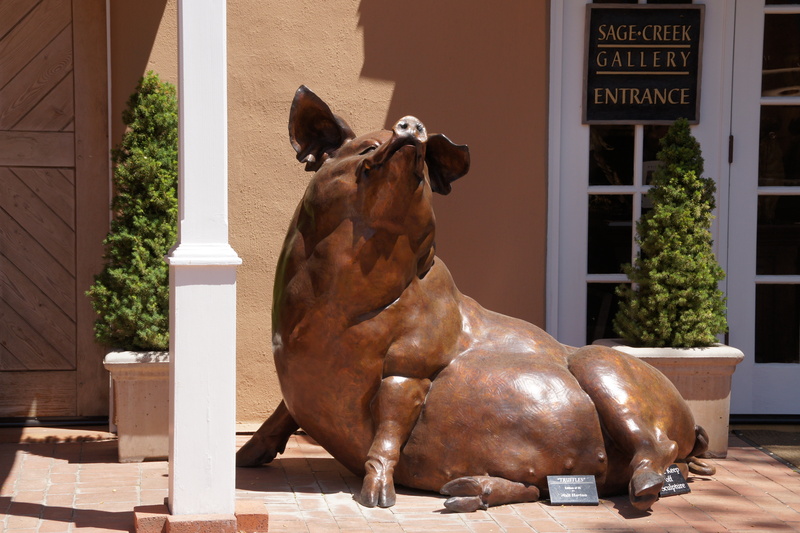 While Lawrence and Cather painted New Mexico with words, stroll through Santa Fe and you’ll see how countless artists have portrayed the area in oil, clay, bronze and more, which has made Santa Fe the second or third largest art market, depending on who you’re talking to. The city was designated a UNESCO Creative City in 2005, the first U.S. city to be so honored and currently one of only a handful of Creative Cities in the world. 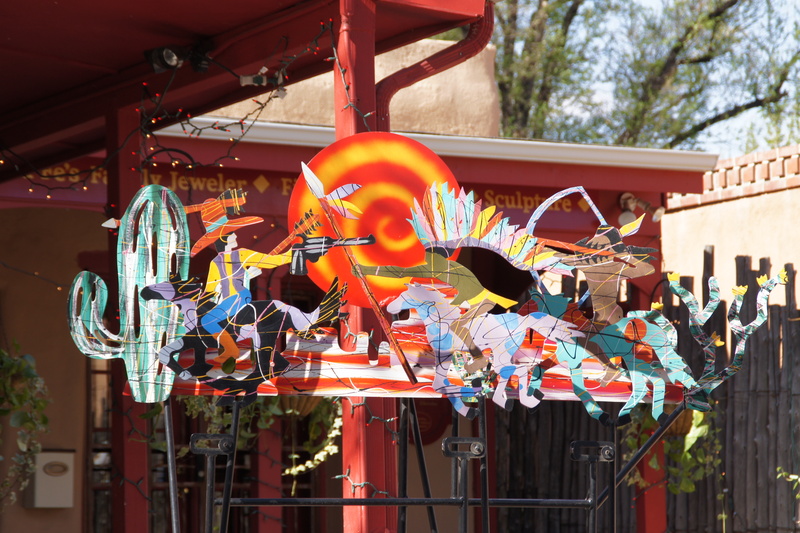 In 2009 the National Trust for Historic Preservation named Santa Fe one of the Trust’s Dozen Distinctive Destinations. hundred galleries, specialty shops, and restaurants. It’s a visual fiesta at just about every turn, and if you look carefully you’ll find something for every budget. Though the galleries would love to have you purchase a work of art, you’re welcome to come in and simply savor what you see for a while. Just looking? Santa Fe is also a city of museums with more than a dozen different facilities including the Museum of International Folk Art, The Museum of Indian Arts & Culture, SITE Santa Fe, New Mexico Museum of Art, Museum of Spanish Colonial Art, Wheelwright Museum of the American Indian, Georgia O’Keeffe Museum, Santa Fe Children’s Museum, New Mexico History Museum/Palace of the Governors, and one of my favorites, the Museum of Contemporary Native Arts. Read more about Santa Fe in Off The Beaten Page: The Best Trips for Lit Lovers, Book Clubs and Girls on Getaways.